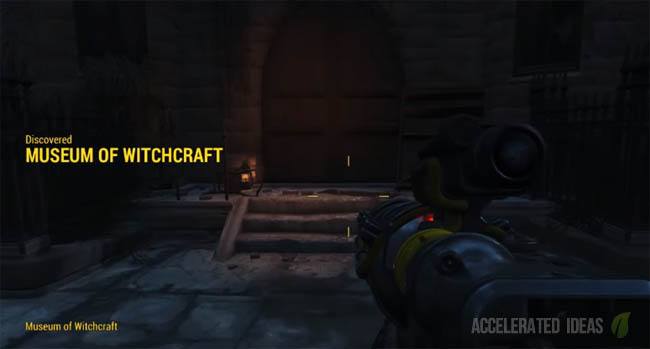 The Deathclaw Gauntlet is a unique weapon that was included in several previous Fallout games. The gauntlets unique power is that it ignores enemy armour when attacking, thus making it an extremely deadly melee weapon. 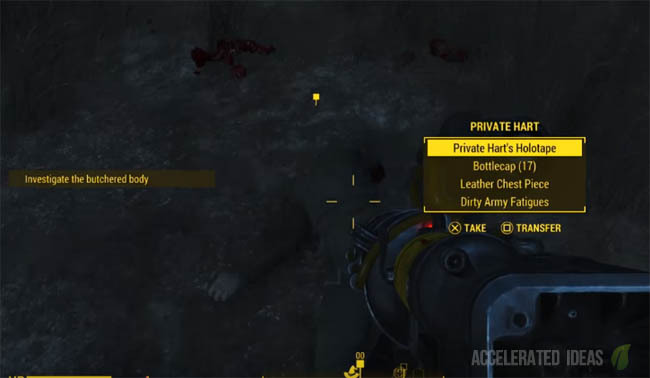 In this walkthough, I'll show you exactly how to get the Deathclaw Gauntlet in Fallout 4. The gauntlet is collectible during the Devil's Due quest but before rushing off to complete this quest please read carefully because you must grab the unique weapon at the right moment. If you do rush off and complete the Devil's Due quest, the gauntlet will not be available later in the game and you won't be able come back afterwards. The first step to finding the gauntlet is to trigger the "Devil's Due" quest. This requires you to visit the Museum of Witchcraft; a spooky looking place close to the coast. The museum is located in the Coastal Commonwealth which is on the North Eastern side of the world map. It's Northwest of Crater House, Southeast of Sandy Coves Convalescent Home and East of Dunwich Borers. At first glance the museum's front door seems to be locked, so head round to the right of the building and investigate the butchered body on the floor. Pick up Private Hart's Holotape and listen to the recording. There's a secret hatch located to the left of the dead body so walk over and access the side hatch to gain entry to the Museum of Witchcraft basement. Upon entering the basement you'll hear some very strange noises and dead bodies being dragged upstairs. Stay calm and follow the route leading upstairs where a BOSS awaits you. 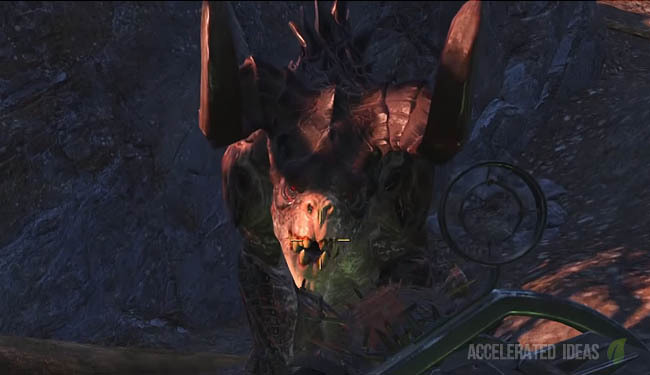 This high level boss is a Savage Deathclaw and given the enclosed surroundings you'd do well to equip your Power Armour before engaging in this fight. Use the buildings beams to circle round the Deathclaw, not giving him enough room to strike you. Unleash your mini-gun (or other higher powered weapon) to take him down. Once the beast is down, head to the small room on the same level. 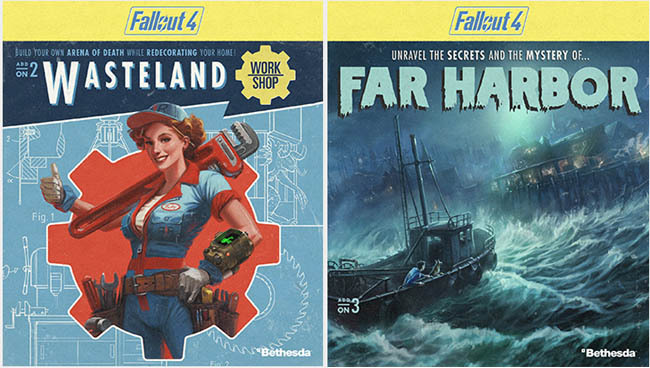 Pick up Sergeant Lee's Holotape and the Pristine Deathclaw Egg. 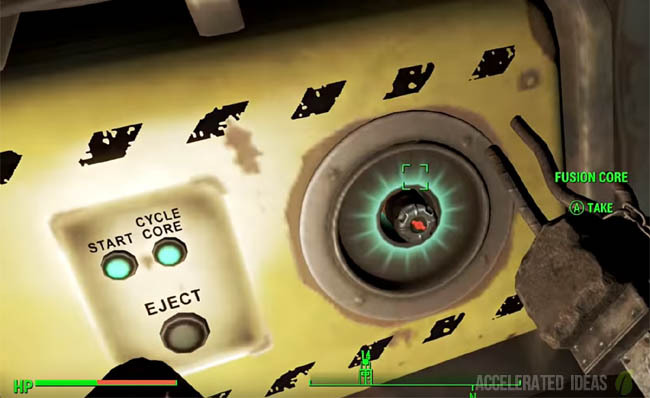 Listen to the Holotape to reveal the location of the Deathclaw's nest. The recording mentions "A nest full of Deathclaw eggs. A dozen, maybe more. Smashed to bits. Except this one." Now the most important part! You must not complete this quest in order to get the Deathclaw Gauntlet. Simply make a note of the nests location and do NOT return the egg, nor should you complete delivery of the egg. Instead, venture to the nest, preferably heavily armed and steal the gauntlet from the nest. With a little bit of luck and the right guidance you'll be able to claim this unique weapon for yourself! Some images of the gauntlet..